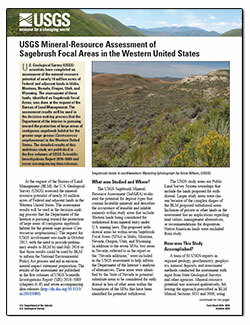 Frank, David G.; Frost, Thomas P.; Day, Warren C.
Frank, D.G., Frost, T.P., Day, W.C., and the USGS SaMiRA team, 2016, U.S. Geological Survey mineral-resource assessment of Sagebrush Focal Areas in the Western United States: U.S. Geological Survey Fact Sheet 2016–3074, 4 p., http://dx.doi.org/10.3133/fs20163074. Norton-Smith, Kathryn; Lynn, Kathy; Chief, Karletta; Cozetto, Karen; Donatuto, Jamie; Hiza, Margaret; Kruger, Linda; Maldonado, Julie; Viles, Carson; Whyte, Kyle P.
Norton-Smith, Kathryn, Lynn, Kathy, Chief, Karletta, Cozetto, Karen, Donatuto, Jamie, Hiza, Margaret M., Kruger, Linda, Maldonado, Julie, Viles, Carson, and, Whyte, Kyle, 2016, Climate change and indigenous peoples: a synthesis of current impacts and experiences: Gen. Tech. Rep. PNW-GTR-944. Portland, Oreg., U.S. Department of Agriculture, Forest Service, Pacific Northwest Research Station, 136 p.
Comer, John B.; Inkenbrandt, Paul C.; Krahulec, K.A. ; Pinnell, Michael L.; Rowley, Peter D.; Dixon, Gary L.; Watrus , James M.; Burns, Andrews G.; Mankinen, Edward A.; McKee, Edwin H.; Pari, Keith T.; Ekren, E. Bartlett; Patrick , William G.
Rowley, P.D., Dixon, G.L., Watrus, J.M., Burns, A.G., Mankinen, E.A., McKee, E.H., Pari, K.T., Ekren, E.B., and Patrick, W.G., 2016, Geology, selected geo- physics, and hydrogeology of the White River and parts of the Great Salt Lake Desert regional groundwater flow systems, Utah and Nevada, , in Comer, J.B., Inkenbrandt, P.C., Krahulec, K.A., and Pinnell, M.L., editors, Resources and Geo- logy of Utah's West Desert: Utah Geologic Association Publication 45, p. 167-200. 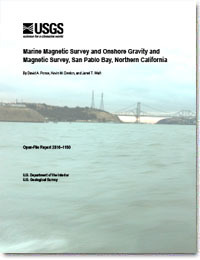 Ponce, David A.; Denton, Kevin M.; Watt, Janet T.
Ponce, D.A., Denton, K.M., and Watt, J.T., 2016, Marine magnetic survey and onshore gravity and magnetic survey, San Pablo Bay, northern California: U.S. Geological Survey Open-File Report 2016–1150, 14 p., http://dx.doi.org/10.3133/ofr20161150. 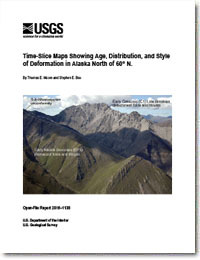 Time-slice maps showing age, distribution, and style of deformation in Alaska north of 60° N.
Moore, T.E., and Box, S.E., 2016, Time-slice maps showing age, distribution, and style of deformation in Alaska north of 60° N.: U.S. Geological Survey Open-File Report 2016–1138, 101 p., http://dx.doi.org/10.3133/ofr20161138. 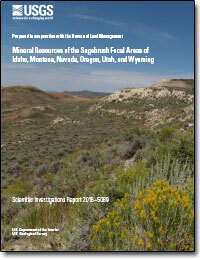 Day, Warren C.; Frost, Thomas P.; Hammarstrom, Jane M.; Zientek, Michael L.
Day, W.C., Frost, T.P., Hammarstrom, J.M., and Zientek, M.L., eds., 2016, Mineral Resources of the Sagebrush Focal Areas of Idaho, Montana, Nevada, Oregon, Utah, and Wyoming: U.S. Geological Survey Scientific Investigations Report 2016–5089, http://dx.doi.org/10.3133/sir20165089. A calcrete outcropping near Sulfur Springs Draw in Texas. This deposit dates to the Pliocene and Pleistocene, and hosts uranium-vanadate minerals. The Southern High Plains of New Mexico, Oklahoma, and Texas. 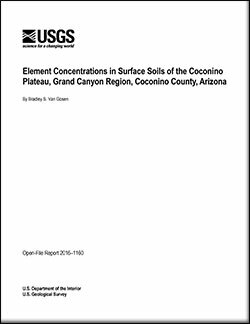 USGS conducted a uranium assessment in this region in 2015. Elliott Barnhart, a hydrologist with the USGS Wyoming-Montana Water Science Center, describes his work developing what could be a cleaner way to develop coal. Scientists studying rare earth and critical elements now have a solid foundation for future research, as detailed in a special volume of the Society of Economic Geologists. 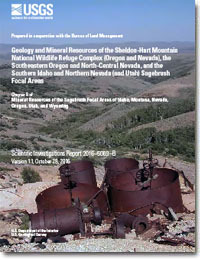 This review volume, featuring several papers authored and co-authored by the U.S. Geological Survey, provides a comprehensive review of the current state of knowledge for rare earth and critical elements in ore deposits. 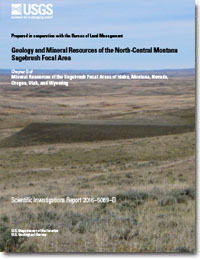 The Central Asia Salt Basin of Turkmenistan, Uzbekistan, Tajikistan and Afghanistan has the potential to contain between 39 and 54 billion metric tons of undiscovered potash resources, according to a global mineral resource assessment led by the U.S. Geological Survey (USGS). Known potash resources in the Central Asia Salt Basin consist of 1.63 billion metric tons. 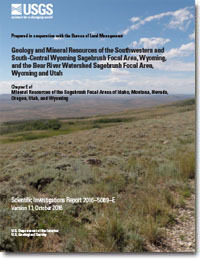 WASHINGTON—The President’s fiscal year (FY) 2017 budget request for the U.S. Geological Survey reflects the USGS's vital role in addressing some of the most pressing challenges of the 21st Century by advancing scientific discovery and innovation. Key nonfuel mineral commodities that support the U.S. economy and national security are increasingly being sourced from outside the U.S., according to a new U.S. Geological Survey publication.